Another week, another mailbag. Erin Sorensen is making her return to the fold, joining Brandon Vogel, Greg Smith, Jacob Padilla and Derek Peterson to answer your questions. This week, they're tackling topics ranging from summer workouts and impact freshmen to receiver production. JP: Well, I think we know what to expect from the punting game if nothing else. Caleb Lightbourn is one of the top returning punters in the Big Ten and Nebraska should be above-average in that area. As for the rest of it, your guess is as good as mine at this point. JD Spielman is one of the best kick returners in the conference, so that area should be solid as well. 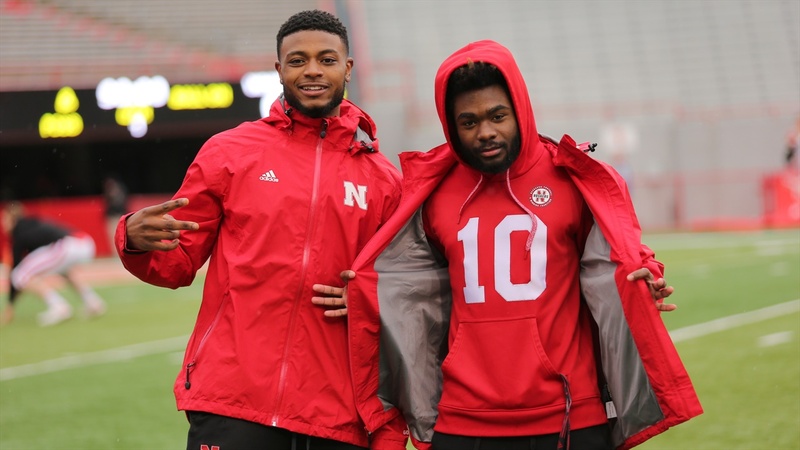 I think Nebraska has enough athletes to field solid coverage teams, especially with this staff’s willingness to play starters on special teams. The big questions are punt return and kicker, and the spring game didn’t exactly inspire confidence in either true freshman Barret Pickering or redshirt freshman walk-on Cole Frahm at kicker. As for punt returns, special teams coordinator Jovan Dewitt said their aggressiveness in that area depends on the talent on hand. If one of those skill position players can emerge as a dangerous return man, he will get the opportunity to return punts, something De’Mornay Pierson-El didn’t really get the chance to do much under the previous staff. JP: Last season, Central Florida had three players (two receivers and a tight end) clear the 500 mark with two more in the 350-400 range. I think Stanley Morgan Jr. and J.D. Spielman will both clear 500 easily. I’m not sure Jack Stoll puts up the kind of numbers Jordan Akins did last year, however. I don’t know that he’s dynamic enough to put up big numbers and while he’s done everything right to this point and emerged as the leader in the room, I still think Austin Allen and/or Kurt Rafdal – and perhaps even Cam Jurgens – will get enough snaps to keep any one tight end from clearing 500. I think one of Tyjon Lindsey or Mike Williams will just barely get there while the other is in the 350-400 range. ES: I agree that Spielman and Morgan are the sure-bets here. Heck, I’ve been saying Morgan is a done deal to reach 1,000 yards this season, so could I count him twice? I think Jacob is right on that either Lindsey or Williams will hit the mark, with the other coming in just below. I woudln't exclude the possibility of Jaevon McQuitty getting close, either. I’m going to say Frost definitely gets two wide receivers over 500 yards this season, but it could be three. DP: The four-in-one-season came at Oregon in 2014 when that team played 15 games and played for a national title. Highly unlikely Nebraska replicates that kind of production right away. Only one team in the Big Ten last season had four guys do it (Penn State) and the Nittany Lions’ leading receiver only had 27 more yards than JD Spielman. If Stanley Morgan gets 1,000 (and I think we’re all in agreement he should) and Spielman even somewhat replicates last year’s output (he should), I don’t think that leaves enough left over for another guy to hit 500 in Year 1. Maybe Mike Williams or Jaevon McQuitty gets close to 400. I bet Tyjon Lindsey is much closer to 500 rushing+receiving yards than he is just receiving. Only one guy did it for Frost in Year 1 at Central Florida. Not that there isn’t enough talent to do it — there is — I just struggle to see how the math works out. JP: If things don’t go exactly according to plan, I’d think Frost would sort of find a happy medium between the two ends of the spectrum you described. Frost is incredibly confident in his system and the coaches he has teaching it, so he’s going to give it every opportunity to work. That being said, Frost has also shown notable ingenuity in the way he has developed this offense in the first place, so if he has to tweak some things it seems like he’d be smart enough to do that. DP: I’ll agree with Jacob here. Frost’s offense at Central Florida wasn’t a carbon copy of the ones he ran in at Oregon. He adapted for the new terrain. The same figures to happen at Nebraska. The “I’m hoping they’ll adjust to us” line from his introductory press conference was great and they’re not walking into the Big Ten with the mindset what they’ve done can’t work here too, but at the same time, Frost isn’t stubborn. If something’s not working right, these guys have shown the ability to adjust on the fly. GS: I’ll go against the grain a bit and say sink with the ship. There will surely be tweaks and additions to the offense because Frost is an innovative offensive mind. However, the base of this offense isn’t going to change. Frankly, I don’t see there needing to be a reason for it to change anyway because this style of offense puts up points everywhere. Frost fully expects the Big Ten will adjust to him. In Neal’s case, his reported max squat this spring was 645 pounds. That would mean he’s upped his max by 120 pounds over the last few months. That’s pretty impressive. With all of that said, we won’t know more specifics on growth until later in fall camp. While Nebraska updated the roster this week, the height and weight numbers were not changed. I have every reason to believe that was done intentionally, so it’s really now a waiting game until the staff is ready to share the final results of this summer and offseason work. DP: Cam Taylor. This wouldn’t have been my answer before the guys got here or before we got to see how Taylor was basically running the show during both Friday Night Lights camps, but having that firsthand look at the way Taylor was interacting with the coaches and the rest of the team, he feels like he might be a special one for the Huskers. He was basically step-for-step with defensive backs coach Travis Fisher the whole camp, laughing with and helping with drills. The talent is unquestionable but a lot of times with the new guys it’s about comfort. You look at a guy like Tyjon Lindsey, who went into 2017 with some serious expectations and just never looked comfortable. Wasn’t because of the talent; he said so himself this spring that he wasn’t right mentally last year. Taylor doesn’t give off that vibe. He was also a high school quarterback and wasn't shy about showing off his arm when we saw him at FNL; I wouldn't be surprised to see him get something on offense at some point. 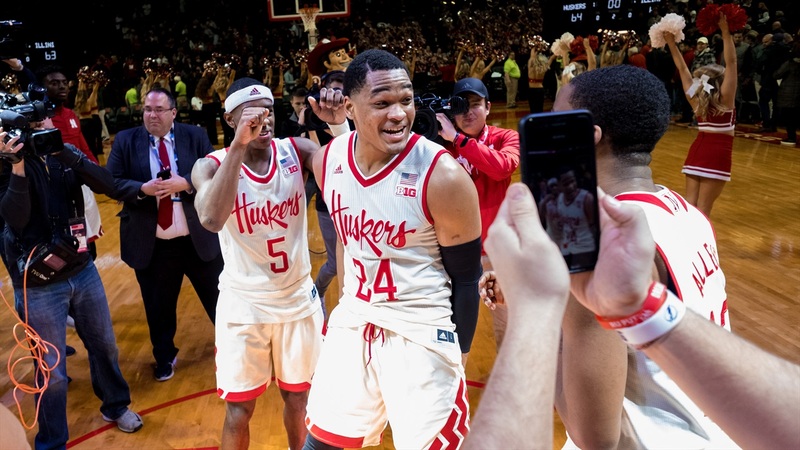 BV: Cam Jones would’ve been my answer at any point prior to June, and I still think he plays quite a bit this season, but the early chatter around Caleb Tannor has been effusive. He was a high-profile commit at a position of need, but you never know how ready-to-play a guy will be when he shows up on campus. Based on what I’ve heard, Tannor passed that test and expectations for what he’ll be able to do in Year 1 are increasing. GS: Caleb Tannor. Like Brandon said, the early returns on him are very good in terms of being exactly what they hoped he would be. I know that he had been working hard to be ready to hit the ground running so it seems like that work has paid off. I don’t necessarily see him starting right away but I do see him having a specific package for pass rushing immediately and his role growing from there. BV: Much like Nebraska’s overall Big Ten power ranking at this point, it’s muddy in the middle. There are a few clear leaders on the offensive line front in the conference (Wisconsin, Ohio State and Maryland would be my top three), but the Huskers fall somewhere in the Minnesota, Purdue, Michigan State range, i.e. solid with the potential to be top-half of the conference but without the proven players to project it. I like Nebraska’s potential, so I’d put the o-line seventh. Defensive line isn’t quite as good. Based on what we can show for NU’s returning players this unit ranks in the bottom-third for me. A lot of questions to answer here for the Huskers (though not as many as a few others) and I think the d-line’s ceiling in 2018 might be set by the development of the Davis twins. If Nebraska gets great production out of those two then maybe the Huskers move up closer to the middle of the d-line rankings. DP: The Nebraska red color is technically called “Scarlet,” per the University’s branding guide. As for the cream, sports outside football have those cream base uniforms with the script lettering across the chest; I’m thinking baseball and basketball right off the top of my head and those uniforms are absolutely amazing. I’ve said to the rest of our team if Nebraska football found a way to incorporate those same elements into an alternate look I’d be all for it. I just don’t know how that would look. Scarlet pants, cream top, scarlet helmet? Not really anyone at the FBS level doing something like that right now. 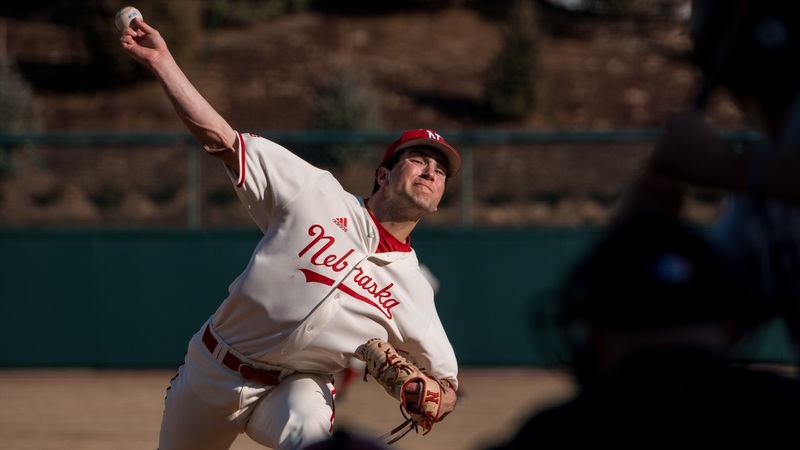 BV: I’ve been pushing for a true scarlet-and-cream alternate for years. I got very excited two seasons ago when the coaches’ sideline apparel included cream options, but it never resulted in that color showing up between the sidelines. I am a cream absolutist. Nebraska can eliminate white altogether and I’d be fine with it. That said, probably can’t ever change the chant because Go Big Scarlet doesn’t exactly roll off the tongue. DP: Video board. Video board. Video board. You can never have too many video boards and you could put it opposite the one in the north endzone and do some cool things with it. I’ve heard the tires have also been kicked on changing the seating from bench-style to individual seats around the entire stadium. They want to be more accommodating to the fanbase but that would also mean losing some numbers off the overall attendance figure.